A few days ago, we talked about the potential development of memory prosthetic devices. Well, this time around, things have gone beyond the ambit of complexity into the very realm of conscientiousness – with Aaron Brown’s designed superhero-inspired prosthetic add-ons for children in need. 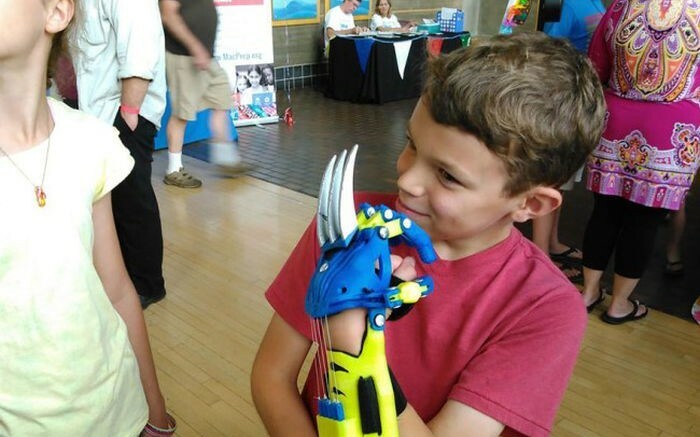 The artificial arm in the picture we see above is influenced by Wolverine’s razor-sharp yet retractable claws, and it was crafted entirely with a 3D printed process. People’s faces just lit up! The kids went crazy over it. And don’t worry … the claws aren’t sharp! They are rounded plastic and just stick on and off with velcro. 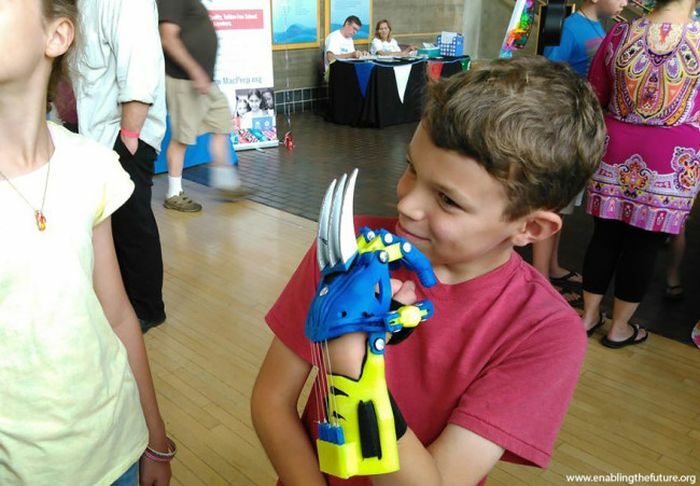 The overwhelmingly positive response had also led to the 3D printed creations of other superhero prosthetic limbs, included styles inspired by Batman, Captain America and the Iron Man. And, in case of some of you are wondering why Iron Man was not thought of before the Wolverine – well, it was. 3-year old “Bubba” Kahae (who was born with amniotic band syndrome) had already received a completely free-of-cost Tony Stark-inspired hand at the beginning of September from E-Nabling The Future.